‘Seas the Turtles’ while learning the art of machine raw edge applique. This is a perfect pattern if you are a beginner or to augment your skills with these splashy creatures. 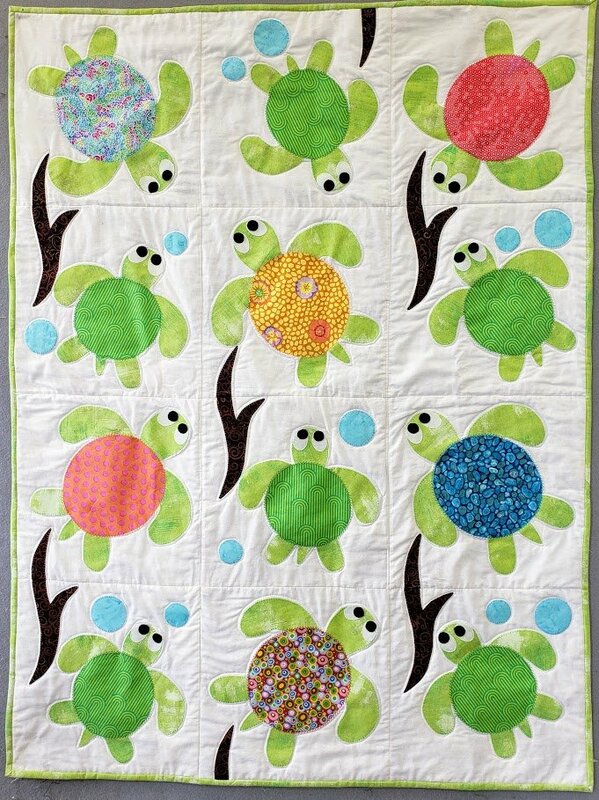 Have fun selecting your fabrics as you prepare to paint your turtles swimming in a big sea! They will have you entertained by their antics.